The Taliban Invites Senator Rand Paul to Speak? Uhhh… So the TALIBAN Has invited Senator Rand Paul to their political arm’s office located in Qatar. They want to discuss peace plans. This comes on the heels of a recent interview Paul conducted. During an interview with Fox News, the Senator blasted Washington for it’s continued investment in the Afghan conflict, “The war in Afghanistan is costing us $50 billion a year… It’s time to come home. There is no military victory there,” Mr. Paul said. Whether or not they actually want to talk about a withdraw of U.S. forces from the country the Senator surely cannot be thinking of actually traveling. And heck… us leaving is apparently exactly what they want, which in a way speaks VOLUMES! Taliban terrorists have invited Sen. Rand Paul (R-KY) to their political office in Qatar to discuss peace plans to bring the nearly 17-year-old war in Afghanistan to a conclusion. The invitation, reportedly posted on the jihadist group’s social media accounts, came in response to Sen. Paul’s recent comments about the conflict, notes the Washington Times. We invite the respectable US senator @RandPaul in his official capacity to visit our political office in Doha for mutual talks. 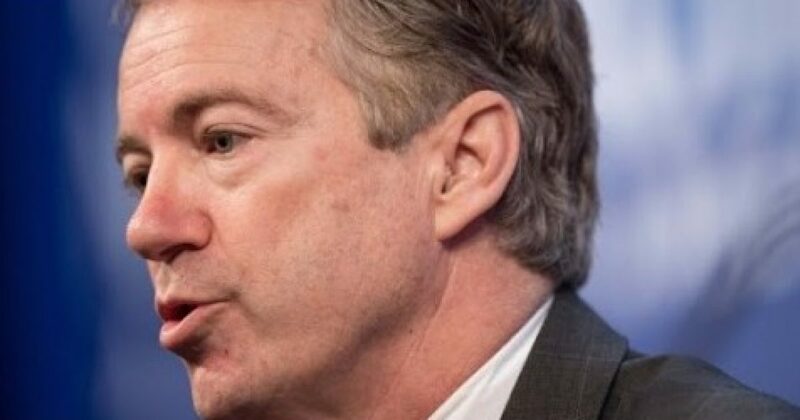 “We’ll prove to Mr. [Rand Paul], the immediate U.S. withdrawal from [Afghanistan] will bring peace to our country & will enhance international security,” added the Information Committee of the Islamic Emirate of Afghanistan in the…..